Our providers offer a selection of breakdown cover designed for use both in the UK and throughout Europe, and offers peace of mind to those who are towing a caravan or trailer. Each of our providers offer their cover on a single trip or annual multi-trip basis. Caravan/trailer recovery only cover means that you purchase a breakdown cover policy for your main vehicle, and if you do break down then any towed caravan or trailer will be recovered along with the main vehicle. 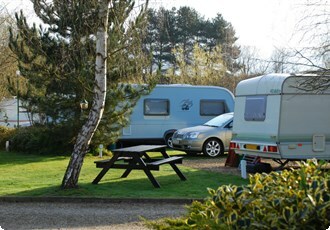 It is important to note, however, that any breakdown of the caravan or trailer itself is not covered under this type of policy, cover only applies to the main vehicle. Caravan/trailer recovery and repair cover means that your towed caravan or trailer is eligible for roadside assistance and recovery in the same way as your main vehicle, meaning that if there is a problem with just the caravan, you can call the emergency number for help, and this can be provided even if there is no breakdown related to the main vehicle. When selecting which of our providers is the most suitable, please be aware that vehicle size restictions also apply to the caravan or trailer that you are towing. Be sure to check the quote results table for full details before you purchase.